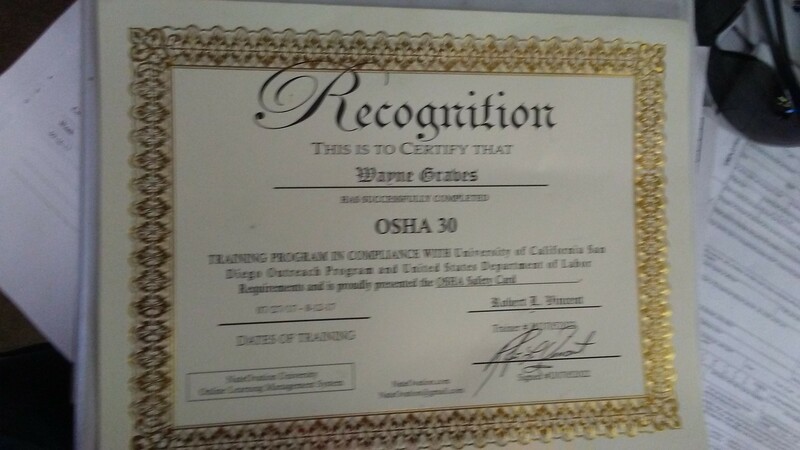 The OSHA 30 CLASS leads the student to obtain an Official OSHA 30 Hour Construction Safety Card generated by the University of California San Diego OSHA extention authorized by The United States Department of Labor. This course has 9 required classes and 16 electives. Each class is a stand alone class modual. Under the law, you have 17 days to obtain evidence of being enrolled to procure employment. It is the best education you can get to immeaditly procure employment. Each student is given his Own Class Control Card. He signs the attendance register each day and after he completes a class modual, he signs off that he took that class. Therefore, that makes our system very flexable to the students needs; if he happens to miss a class he can make it up! He can obtain a letter giving evidence of his enrollment in training. 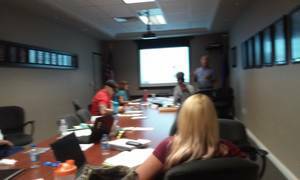 NateOvation.com Las Vegas University; OSHA 10 30 and Beyond! 02. OSHA 30 - Directions on Navigation through the course.